Who would place a cyanide gas chamber 30 metres from a hospital? 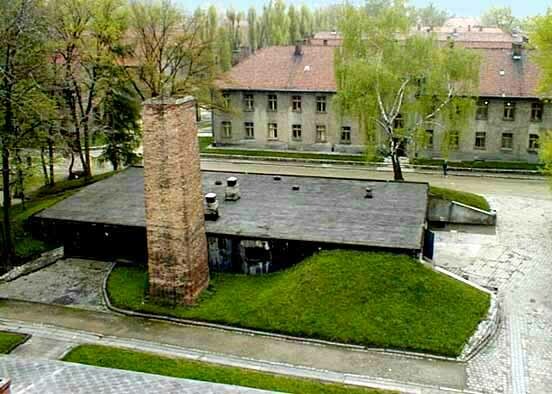 See Gas chambers (real). 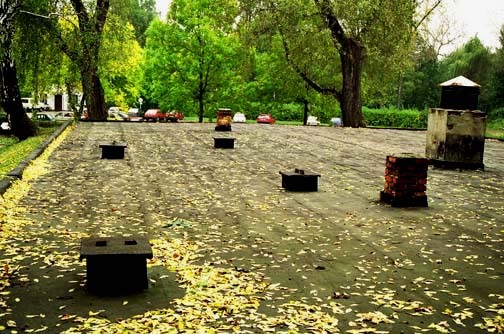 The curator, Piper, admitted that the Russians put the holes in the roof around 1947, hence their poor quality (and built the crematory chimney), that they packed in 10 people per square yard! To get the required heat to activate Zyklon B they relied on body heat! It took 20 minutes (while killing lice took 24 hours), and there was no extraction system, it was ventilated by convection! Both doors opened inward! And the door handles could be operated from the inside! Just like a gas shelter 1,2. 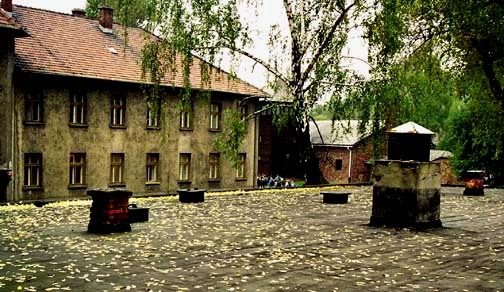 There is no blue staining from Zyklon B as there is in the Birkenau delousing buildings. As Conan knows, already in 1976 I demonstrated the falsehood of this entire story by questioning Museum official Jan Machalek, and by finding in the Auschwitz Museum files original plans clearly showing that, in fact, the alleged "gas chamber" was, between October 7, 1941, and August 31, 1943, a room with a single entrance where dead bodies awaiting cremation were stored. 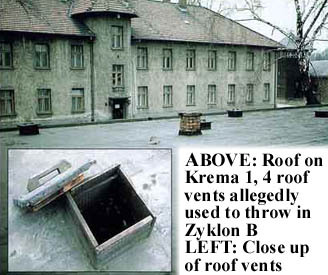 In Holocaust literature, the vents were allegedly used as the openings to drop in the Zyklon B, which produced the hydrogen cyanide gas after it reached the floor of the facility. Zyklon B was a special preparation of hydrogen cyanide gas where the gas was forced by compression into particles of chalk or wood pulp. These particles carried the gas and would, upon heating or being exposed to air, release the gas into the area where the gas was to be utilized. One of the main requirements for driving or evaporating the hydrogen cyanide gas out of the Zyklon B was excessive temperature. It had to be heated to above 78 or 79 degrees Fahrenheit. If the temperature was not near the 78 degree point, it would be released much slower and over a much longer period of time. 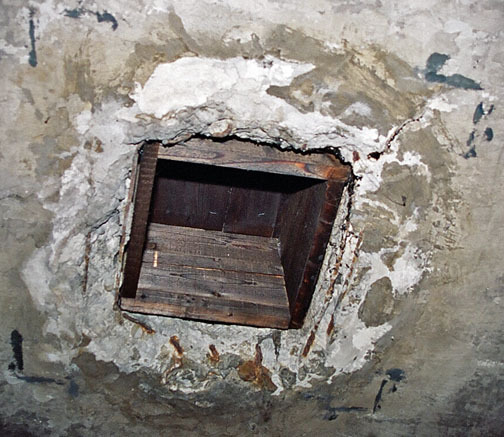 Leuchter pointed out that of the four vents, one was in the area of a washroom and not in the presumed gas chamber at all. The alleged gas chamber room was extremely cold and damp. Hospital opposite 'gas chamber'? Absurd.